One of many different artwork for the fun film. 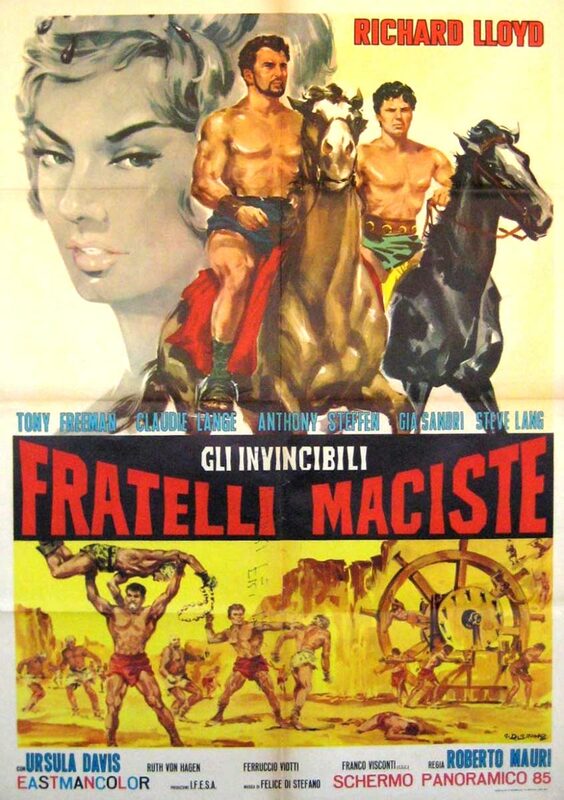 Both brothers are named Maciste but they're not twins. One goes by Maciste the Elder and the other is Maciste the Younger. Hmm...I'd like to know what's the background story of why the parents (if they had any) named their sons the same name.